I have become particularly passionate about sustainable food lately, not that I wasn’t before, but now I tend to act on it rather than just think and procrastinate. As a food writer and blogger, I have become extremely passionate about sustainability in the kitchen. Now I also go out of my way to get to know where my food comes from, supporting companies with a strong sustainable and ethical practice. 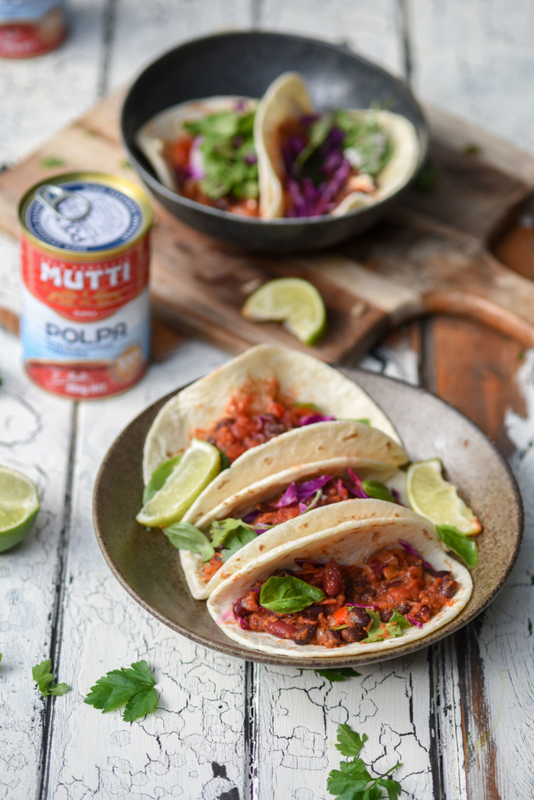 This month I have been working with Mutti Pomodoro on their Greater Goodness Campaign to help raise awareness about cooking sustainably in the kitchen. 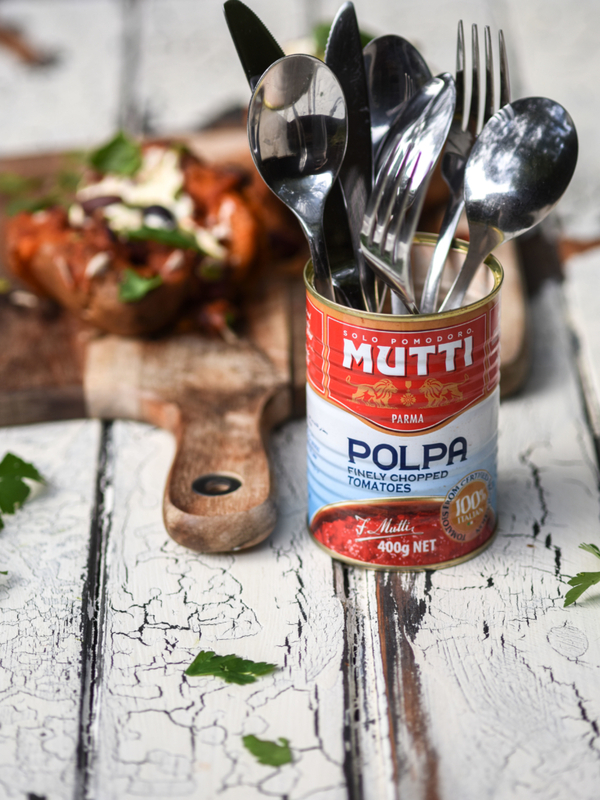 Founded in 1899, Mutti is a third-generation tomato producer based out of Northern Italy in the heart of the food valley. 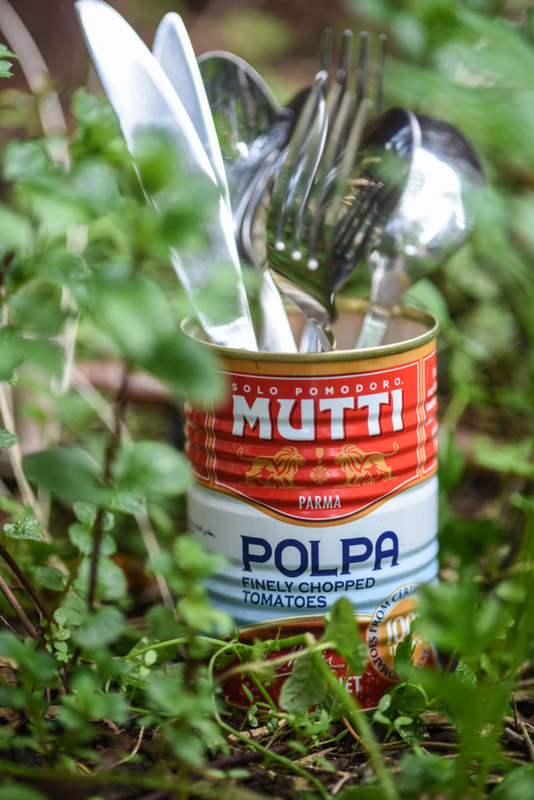 Mutti thrives to not only respect the land but to protect it, constantly working to reduce the water consumption and environmental footprint of their production process. Lucky for us, tin cans can be recycled easily, but before you put your tin cans in your weekly recycling, why not think about restoring, reusing and reinventing them? I have grown quite a collection of tinned tomatoes over the years and am always looking for fun, inventive ways to upcycle them. Some of my favourite ideas to date are using them as vintage vases, biscuit cutters and tea light holders. If you’re an avid camper they can also be used as a base for a mini rocket fire, or a holder for your bread sticks when you’re friends come over for a wine and cheese night. As a food photographer and stylist I am always looking at different kinds of props and utensil holders. And I absolutely love using the old tins as holders for my cooking utensils and cutlery. It’s also an easy way to keep cutlery handy in time for dinner. Here’s one I created at home… Just use up the tomatoes, wash the tin, take the top off and away you go! I have to admit, I’ve often been a culprit of peering in my fridge and realising many ingredients (and sometimes meals) have been forgotten and stashed there for weeks, quickly gathering moss! Now, before I go shopping I make a conscious effort to shop from the fridge and pantry first, to ensure I am not doubling up on ingredients. The average Victorian household throws out $2,2000 of food each year and collectively throws out a whopping $4 billion worth of food each year. Ouch. I have started dedicating a weekly ‘Leftovers Night’ to use up all the leftovers in the fridge and to avoid any unused food ending up in landfill. 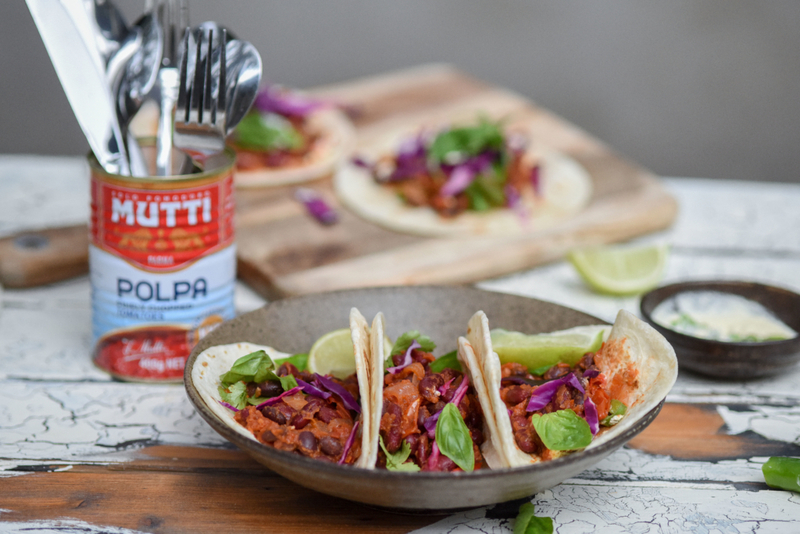 It’s amazing how many yummy dishes you can create from leftovers, if you get a bit creative. 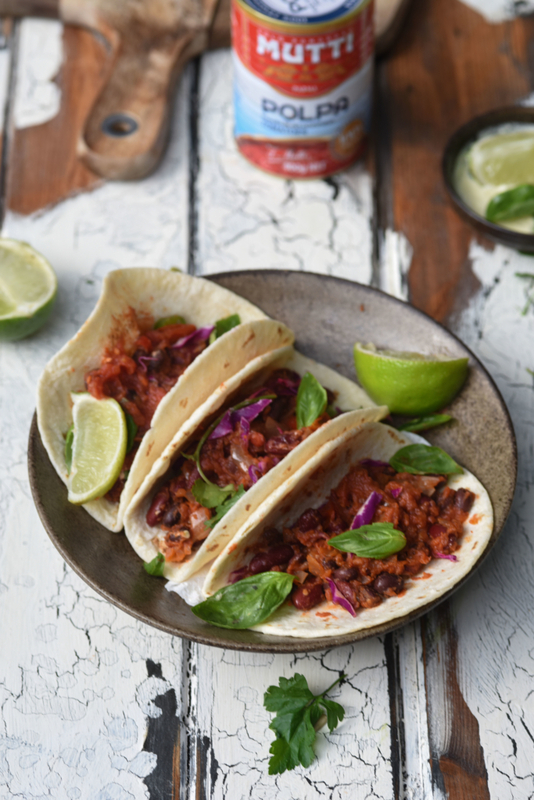 Here’s a simple (and delicious) recipe I created from a big batch of leftover chilli beans. I used up all the fresh herbs and vegetables in the fridge, but you can adapt the recipe accordingly to fit your own leftovers. Heat the oil in a pan over medium heat. Add onion and garlic and cook for 3 minutes or until the onion softens. Add the beans. tomato, oregano and chilli to the pan and stir until well combined. Increase heat to high and bring to the boil. Reduce heat to medium and simmer for 5 minutes. Leave to cool slightly. Heat up tacos in the microwave for ten seconds. Top with chilli beans, red cabbage, basil, coriander and a squeeze of lime juice. When it comes to sustainable food, one of the best things we can do for the environment is to make the most of what we buy, rather than throw it away. I am the biggest culprit of shopping when hungry, which often results in a ridiculous amount of food being purchased to satisfy my cravings. One of the best things I have done recently is to develop a weekly meal plan and stick to the shopping list. This may sound simple but it has really helped me to reduce so much food waste. It’s always a good idea to check the due dates on perishable items and place them at the top of the fridge to prioritise accordingly. Storage can also play a big part in keeping food fresher, and if you can’t use it in time, make friends with your freezer. I now take salad leaves out of their bags and place them in an air tight container to make them last longer. I always make sure I have enough non perishable foods in my pantry if plans change. 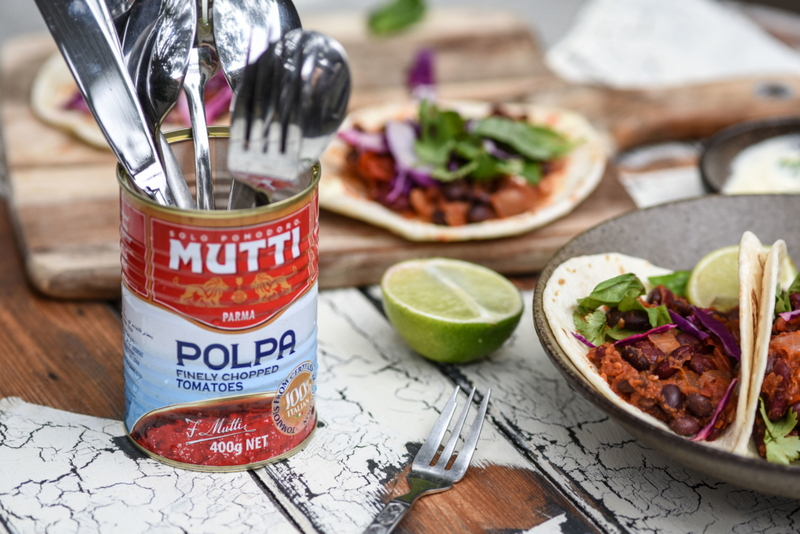 The great thing about tinned foods like Mutti tomatoes is that they are relatively cheap, don’t go off easily and are so versatile. Scrub the sweet potatoes, pat dry then place in baking tray with a sprinkling of salt and olive oil. Roast on a baking tray for about 45 minutes, or until cooked through. Allow to cool and cut in half, fill with chilli beans and olives. Finish with basil leaves and a sprinkling of pepita seeds. 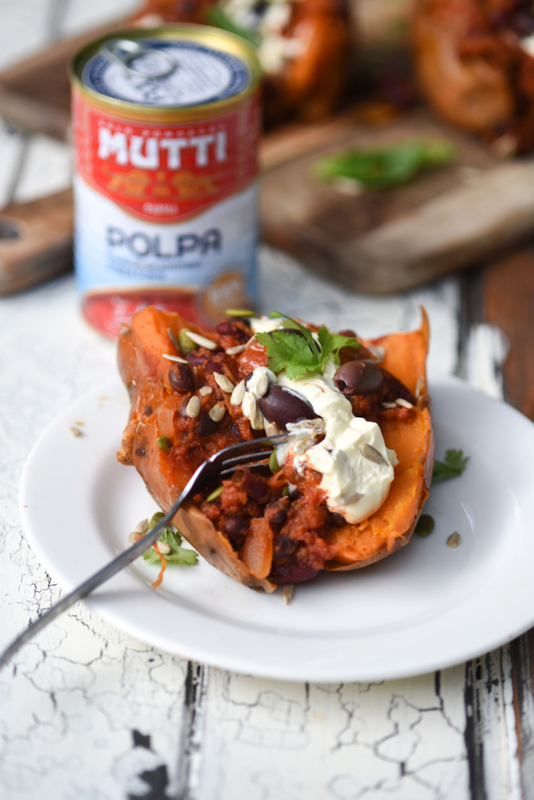 This post is is partnership with Mutti Pomodoro.. All opinions expressed are purely honest and my own. Hello, we really like your pic! 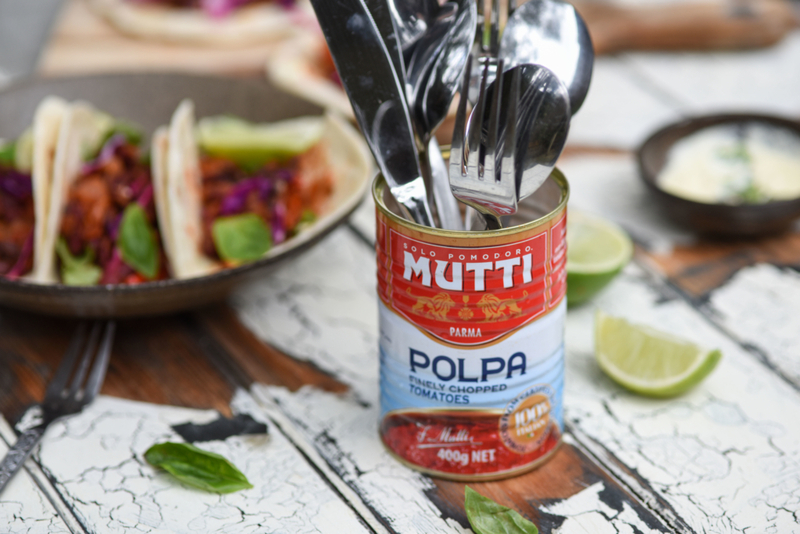 We’d love to repost it on our Facebook page (facebook.com/muttipomodoro) and/or our Instagram Account (@Mutti_pomodoro). Would this be okay with you? If you agree, please copy and paste this url on your browser http://bit.ly/MuttiGram and fill in the form. Thanks a lot!